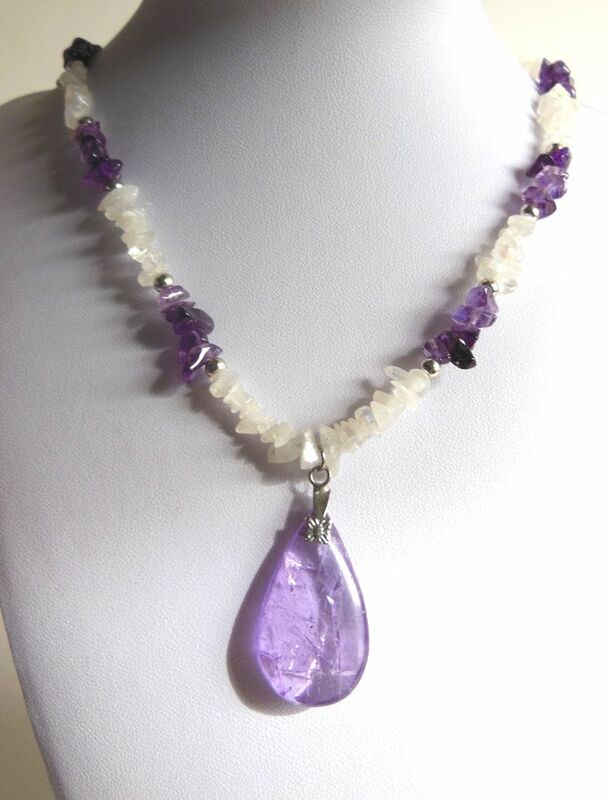 Made using clear-colored plastic cord, this necklace features a translucent, purple amethyst pendant in a teardrop shape and is clasped with a barrel-shaped twist clasp. 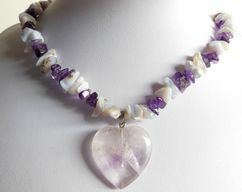 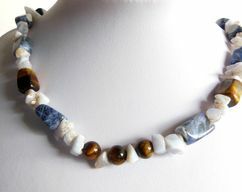 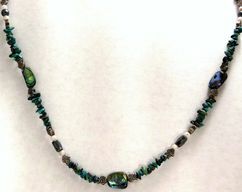 The "body" of the necklace is composed of stone chips - dark-purple, translucent amethyst and iridescent, rainbow moonstone. 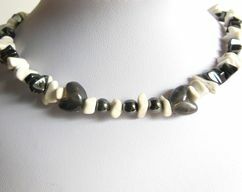 I also used small, round, silver spacer beads.